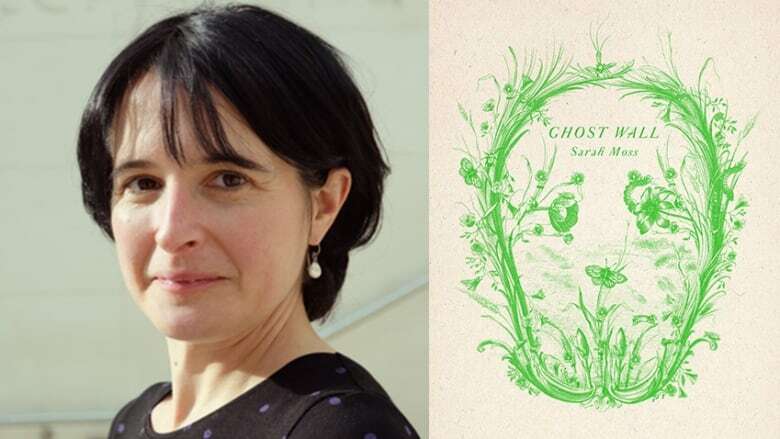 In her new book, British novelist Sarah Moss connects ancient Britons of the Iron Age to the foundation myths of today's Brexit crisis. Ghost Wall centres on the troubled relationship between a young woman and her abusive father as they embark on an archaeological experiment, investigating the mysteries of the bog people who inhabited northern England two thousand years earlier. Moss was born in Glasgow in 1975. Her family moved to Manchester and she grew up in northern England, before leaving to study at Oxford. She has published six novels and four works of nonfiction, including Names for the Sea, a travel book about the year she spent in Iceland with her young family. Moss spoke to Eleanor Wachtel from Coventry, England, where she is a professor of creative writing at the University of Warwick. "In writing Ghost Wall, I was interested in the idea of the scapegoat, the allocation of blame and what it might feel like to be the one whose fault everything always has to be. You must resist that narrative if you are the scapegoat. If it is internalized, you have nothing to lose and become very dangerous. I was interested in the way that process hasn't changed over time. "We have no idea why the Iron Age 'bog bodies' were sacrificed, but it's hard not to imagine it's anything other than some form of scapegoating. Whether you blame imaginary foreigners or blame the government for what you haven't got, there's a move toward scapegoating these days and it's always a rejection of responsibility. I was surrounded by this notion — by way of the Brexit situation — while I was writing the book. I was interested in what happens if you oppose scapegoating with an idea of collective responsibility." "Experimental archaeology is a technique where, in the absence of a written record, you perform the processes and tasks of prehistoric people. It's very hard to find evidence for everyday prehistoric life in most climates because it just didn't last. Experimental archaeology is a way of doing that — you can take artifacts, create them again and make them new. "You can take a prehistoric artifact and work backwards to imagine how it was made. From there, you can work forwards and try to recreate it. It can bring a different understanding of the ways of life and the daily life for the people of that time." "I used to tell ghost stories as a child. I don't believe in ghosts in any conventional sense, but I have lifelong experiences of there being a strong presence in certain places and being very interested in that feeling. Ghosts are creatures or imagined beings that are unable to leave a place. It's always about place — in stories where you find ghosts they're not very mobile. What fascinates me about that is the idea that there are stories that go on retelling themselves in particular places." "I am particularly drawn to northern and remote places in my fiction, partly due to its disconnection from everyday life. People are always more interesting in isolation or cut off from their usual ways of coping with things. I grew up in the north of England, which is not really very far north if you live in the 'real' North, but is always defined as northern. My grandparents, with whom I spent a lot of time, were very oriented around the north, around Scotland and that whole North Atlantic archipelago. I just grew up fascinated by it, feeling called by it, and that it was an interesting place to be. In adult life, I've spent as much time in those places as I can, although not as much as I'd like. "I think it was partly a sense of small-scale domesticity. I was fascinated by the Laura Ingalls Wilder books around the same age. In both cases, it was a sense of domestic spaces in wild places — that you might be able to have a kind of coziness and also wilderness on the doorstep." "Despite her father's abusive behaviour, Silvie, the book's young protagonist, still has some understanding of her father and what he's missed in life. If you survive as a child in an abusive household, it's only by understanding the person you fear that you have any hope of avoiding harm. "You don't really have any hope of avoiding harm altogether, but your best hope and best illusion of control is in a deep understanding of the person who's likely to hurt you. The more you understand, the more you can predict — and the more you might be able to avoid." Sarah Moss's comments have been edited for length and clarity.